Whaaat?? No Deep Frying? Yesss. You'll have to make it to believe it. This Japanese style magic trick is as delicious as it looks!~ But what's in the Batter? How is it so crispy???? 1.Grind your pumpkin seeds to a crunchy, fluffy flour (set aside). Place all other batter ingredients into your blender with the least amount of water possible. Blend to mix to a creamy consistency. Add the ground pumpkin seeds. 2. Put all vegetables into a mixing bowl. Toss and massage with batter to coat well. 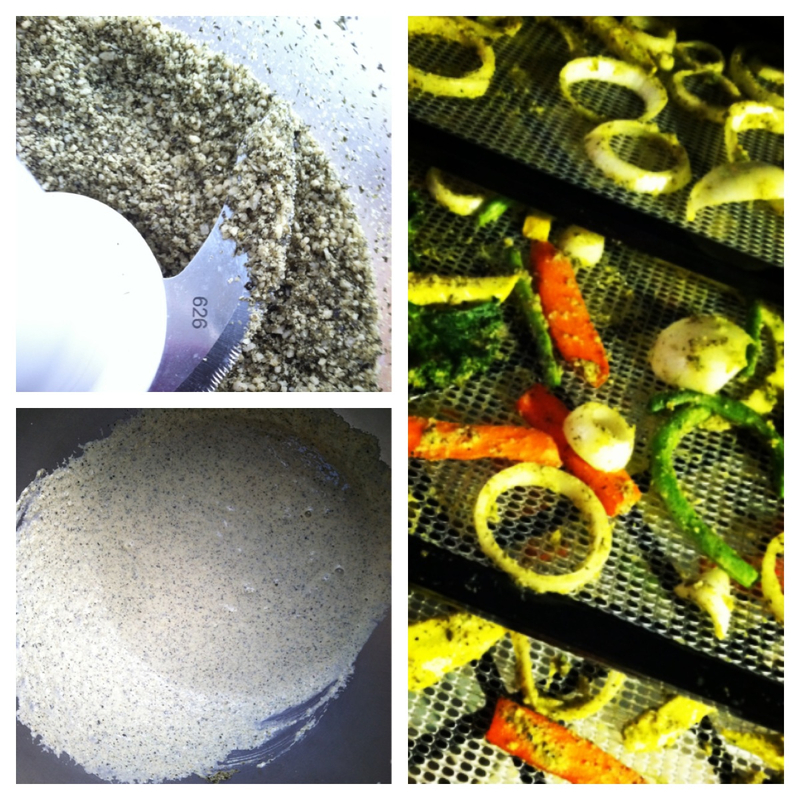 Place a single layer onto three dehydrator trays and dry at 104 degrees for 7 to 10 hours, to desired level of dryness. You want the batter to be crisp, and the vegetables to be softened. *Note: If you don't have a dehydrator you can also make these in your oven using the lowest setting. 3. To make the dipping sauce, whisk together ingredients in a small bowl. (sauce will keep refrigerated for 3 days). Serve with rice and salad. Or on a bed of salad greens to keep it all raw. Tempura is best enjoyed immediately, or store in an airtight container in the fridge, and dehydrate an hour before serving again.